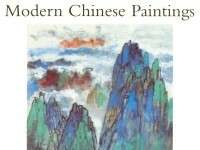 In December 1995 a collection of 130 modern Chinese paintings was generously presented to the Ashmolean Museum in honour of Jose Mauricio and Angelita Trinidad Reyes. This gift forms the largest single benefaction to the Department of Eastern Art since its foundation in 1960, and added to the collection of modern paintings begun by the first Keeper and built up subsequently over many years by Mary Tregear, establishes the Ashmolean as a significant centre for the study of this field of Chinese art. The present book follows the catalogue presented with the collection, compiled with the assistance of Robert Ribeiro QC, Susan Ribeiro, Thomas Au, Richard Khaw, Ku Wai Sang and Gladys Lo. I should like to express particular thanks to Robert and Susan Ribeiro for their continued interest in the Reyes Collection. The inclusion of the painting inscriptions in original Chinese has been made possible by a grant from the Universities’ China Committee in London and I am grateful to Zhang Hongxing for undertaking the task of transcribing the inscriptions. I am also indebted to Professor Glen Dudbridge and Miss Dee Zhang of the Institute of Chinese Studies, Oxford, for generating an accurate Chinese character text. For reasons of space it has not always been possible to include a full transcription, and the translations are provided for non-readers of Chinese. I am grateful to Dr. Anne Farrer of the Department of Oriental Antiquities, British Museum, for her comments on the catalogue entries. Any remaining errors and omissions are my own. I am grateful to the Ashmolean Museum Photographic Service for their promptness in photographing the collection, and to Wendy Maine for the map which appears on p. 6. The transfer of the collection from Hong Kong to Oxford was generously assisted by Eskenazi Ltd, and the installation of the paintings has been overseen by Mr. David Armitage of the Department of Eastern Art.